This is the second entry in the October Memoir and Backstory Blog Challenge. As I cast about for early memories, I have trouble distinguishing among what I remember, what I was told, and what I’ve seen in photographs. So I may be creating fictions here, and all along the way, actually. I do have vague early memories of the house we lived in. My parents had moved in with my maternal grandparents before I was born, and we stayed–three generations under one roof, my maternal grandfather sick and dying in the back bedroom that opened right off mine. (That’s a story for later.) A red brick house with the side porch and tall junipers at the front corners. The cramped kitchen, the dining room table with a quilt thrown over it so I could play house, the one bathroom we waited in line for. The unfinished basement, carved out of red clay and braced with wood, jars of my grandmother’s jellies and pickles lined along earthen shelves. Dark, damp, scary. The big green yard and the vegetable garden out back. A ramshackle garage with a storage room on the side and stall-like spaces behind it. A barn, once upon a time? The rope swing Daddy hung on the walnut tree north of the house. Push me, push me! Walnuts on the ground, their hard outer husks turned black. Cool and dark in that shade, no grass growing. The white dog named Pokey who wouldn’t let me out of her sight. Our maid, Nita, a large, soft woman who would put me in the stroller and meet her friend who was nursemaid to a little boy about my age, and they would stroll us all the way to town and back. How I wish I could remember what they talked about. Here I am. Unruly, curly hair. Chubby legs. What’s that in my hand? I believe it’s a brown paper sack of bananas. My Uncle Jim, nearly 20 years older than my dad, had brought me bananas! Why? Were bananas hard to come by in rural north Mississippi in those days? Maybe so. But I loved bananas, even though sometimes if I ate too much, they gave me a tummy ache. I loved my uncles, that one especially. He was a substitute for the paternal grandfather I don’t remember, the one who died just days before Christmas, three months after I turned two. Uncle Jim was a big man who smelled of cigarettes. He cursed–a lot–but he had the biggest heart in the world. A few years after this photo was taken, he plucked me from the path of a car. Around the age of two, my parents took me to the zoo in Memphis for the first time. This was a major outing—at least a two-hour car trip—and I remember getting carsick in the back seat because of my dad’s cigar smoking. Soon after, he switched to a pipe. I still love the smell of pipe tobacco and will always associate it with him. 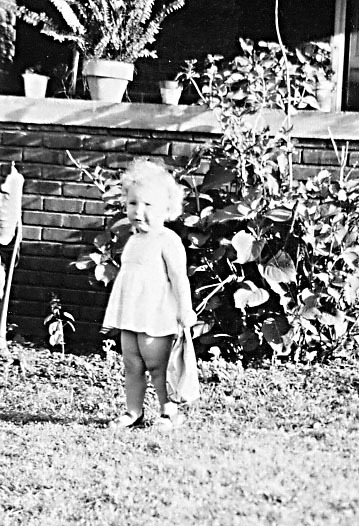 I remember what I wore that day–a yellow sunsuit with brown stitching trim and ruffles on the seat. I remember no animals I saw that day except the giraffe that sneezed on me. That made an impression! I remember eating popcorn for the first time. We ate in a restaurant on the way home. All important firsts. Here’s that sunsuit. I may be cheating. I may have been closer to three years old here than two. Ruffles. I loved this sunsuit. And here I am, still, after so many, many years. The story goes that my dad once told someone who dared to ask him why he and Mother never had more children, “She’s all in the world we ever wanted.” I knew, even at the age of two, that I was the center of the household. Their world revolved around me. Spoiled? Yes, I’d say so. But my daddy owned a service station then. He had a high school education. My mother had wanted to go to nursing school, but her parents disapproved and so she didn’t go. College was out of the question for her. Her mother had not gone past the eighth grade. I didn’t realize until I was forty the pressures their expectations placed on me. I wasn’t perfect. I never would be, and yet I represented what my parents and grandparents had never had themselves. They hung their dreams on me. It’s all quite complicated, isn’t it, no matter how idyllic the childhood? Your mother worked magic on those unruly curls! Love love love these pictures. Thinking back that far does make you wonder what really constitutes memory. I had the same issues with those first memories. My wife is an only child also. I love the sundress and curls! We are, aren’t we? I love your mother’s comment! Really, really sweet. You were just squeezable. What great memories! The word “squeezable” just brought up another memory! Thanks, Dr. Margaret, for reading and commenting. This is a beautiful bouquet of memories. And I love that sunsuit! I like the way we learn new truths when we remember something and reflect on it at a later age., as you’ve done here. It seems to me. the more I think about these years, and look through old photos, the more good things I remember. Some memories run deep; others don’t and blend into stories I was told. But the stories themselves are memory, aren’t they? I think so. Thank you, Jane Ann. Your life was not as different from mine as I had imagined. Probably not. Thanks for reading . . .
How adorable. The curls on your head match the ruffles on your rump. You were your mother’s work of art. How wonderful! You really hit on something, Lori. It does seem like she was playing dolls with me! I guess it’s a good thing I didn’t have daughters. I’m not sure I could have handled the hair and the clothes! Love the bursts of memories — that’s just the way those early memories feel to me. Tiny firecracker explosions in a fog. What an image! Love it. Sometimes memories are like that, aren’t they? So surprising and vivid. As we grow older it’s amazing how life transforms before us and we realize new things about ourselves and our families. Loved this 🙂 thanks for posting it! Some of those realizations are a long time coming, aren’t they? Thank you, Susan! 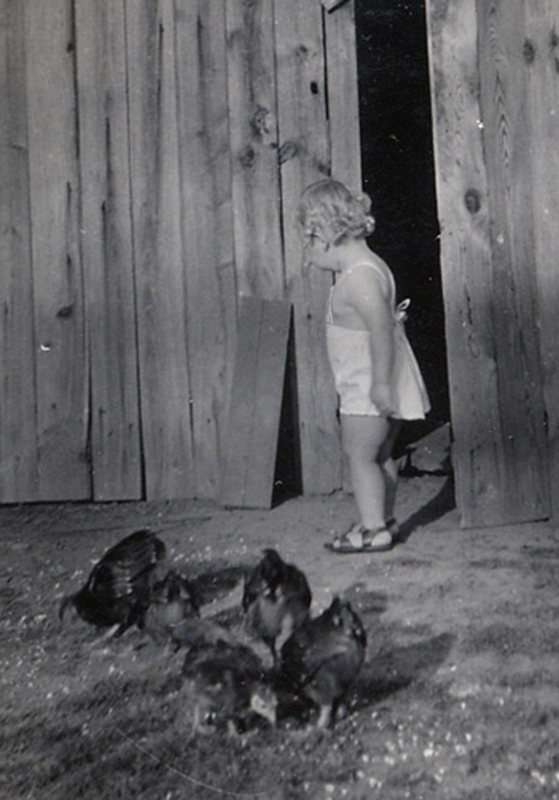 Fascinating – memory, our childhood, and the fact that how we were raised shaped who we are now. Love the pictures and the remembrances. It is all fascinating, isn’t it? I consider myself to have had a great childhood, and yet it’s all complicated. I love how the memories seem to be opening up, though, much more readily than I thought they would. We’ll see how it goes. Thanks for the read and the comment! 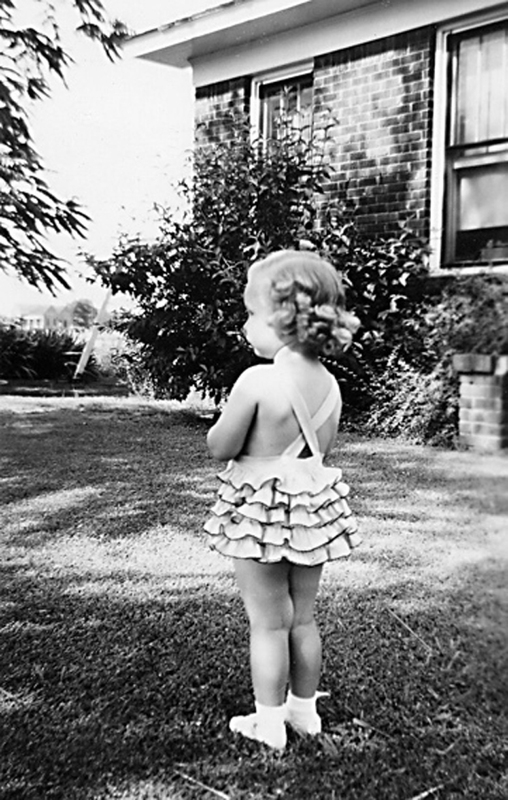 Great post and that sunsuit is absolutely adorable! Funny how I remember that sunsuit, even the colors. I must have loved it! Thanks for reading and taking the time to comment. I appreciate it! No problem! I went ahead and joined the challenge–it just seemed so much fun! Oh, you were so cute! This is a wonderful project you are doing. Can’t wait until the next post. Thank you, Sabra! We’ll see how it goes. Some gaps are looming, but other years are full of memories.